Line Card - Bob Dean Supply, Inc. Dodge Dodge manufactures a wide variety of Bearings, Gearing, and PT Components. Diamond chain Diamond Chain Company's products have been integral part of many notable events: Wright Brothers' first flying machine, Henry Ford's first automobile, and numerous motorsport champions. Martin Sprocket Power Transmission Products, Material Handling Products, and Tools & Forgings. 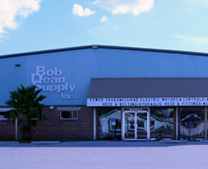 Bob Dean Supply is a leading provider of Industrial Power Transmission, Industrial Supply, and Pump Products in Florida. We have a branch serving Southwest Florida located in Fort Myers and a branch serving Central Florida located in Clewiston.